Situated near the bay, this aparthotel is 0.3 mi (0.4 km) from Brighton Beach and 3 mi (4.8 km) from St. Kilda Beach. Elwood Beach is 1.3 mi (2.1 km) away. Middle Brighton Station is 16 minutes by foot and North Brighton Station is 25 minutes. Situated by the ocean, this apartment building is 0.6 mi (0.9 km) from Brighton Beach and 2.1 mi (3.4 km) from Elwood Beach. St. Kilda Beach and Luna Park are also within 6 mi (10 km). Middle Brighton Station is only a 2-minute walk and North Brighton Station is 20 minutes. 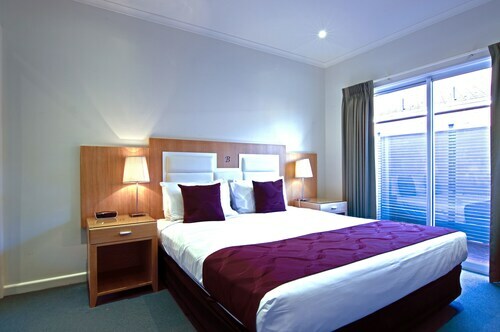 Situated in the suburbs, this aparthotel is 1.5 mi (2.5 km) from Brighton Beach and 1.9 mi (3.1 km) from Elwood Beach. St. Kilda Beach and Luna Park are also within 6 mi (10 km). North Brighton Station is 7 minutes by foot and Gardenvale Station is 15 minutes. 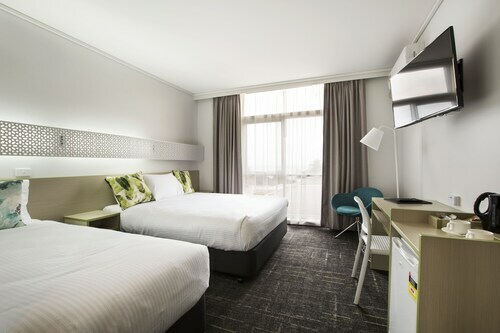 Situated on the Strip, this hotel is 2.2 mi (3.6 km) from Brighton Beach and within 9 mi (15 km) of St. Kilda Beach and Luna Park. Palais Theatre and St Kilda Pier are also within 9 mi (15 km). 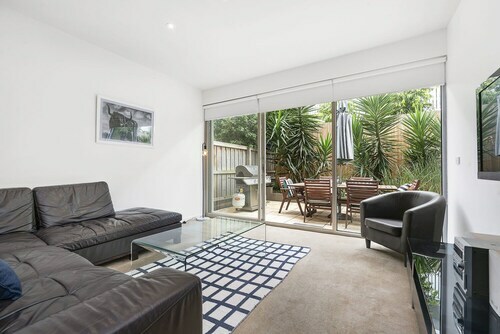 Sandringham Station is only a 3-minute walk and Hampton Station is 21 minutes. Bayside, an area 55 kilometres south of central Victoria's state capital, Victoria, is worth a visit while in town. 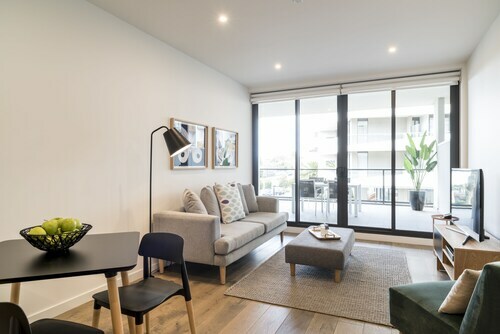 If you are in the Victoria area, you should see its many major attractions, like the Crown Casino and Entertainment Complex, Federation Square and St. Kilda Beach. If you like getting physical and taking in the sun, head to Kurth Kiln Regional Park. The Caroline Serviced Apartments Brighton and Buckingham International Serviced Apartments are great if you'd like to kick your feet up close by. Go for a walk along the shore at Half Moon Bay and take in the revitalising ocean air. 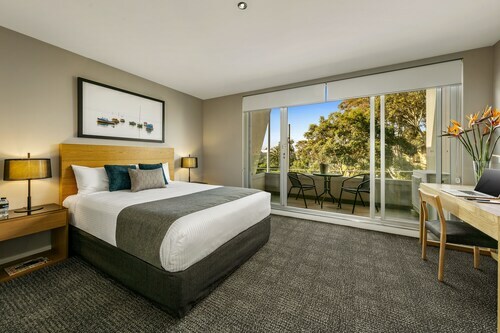 If this attraction is more your kind of thing, consider the Sandy Hill Serviced Apartments Sandringham and Sandringham Hotel. Do you have trouble getting going without a morning coffee? You'll be glad to know Bayside boasts some enticing cafes. Brown Cow Cafe is a local favourite, offering a variety of hot drinks and snacks. Not sure what to do for dinner? You can't go past Best Western Buckingham International. The nourishing dishes here will be sure to satisfy your hunger. Ever noticed that you tend to get thirsty as soon as the sun starts to set? A few well-deserved drinks at Sandringham Hotel is an ideal way to finish off a long and rewarding day. Don't stress if you cannot find the ideal room in Bayside. You will discover more places to kick your feet up in the Highett hotels guide and the Wotif Moorabbin hotels guide. Highett is around 2 kilometres from Bayside and Moorabbin is 4 kilometres away from Bayside. Wotif can help you arrange a great hotel near Victoria, as well as activities, flights, and car rental. So what are you waiting for? Blow the dust off your suitcase and make your Bayside dreams come true. How Much is a Hotel Room in Bayside? Hotels in Bayside start at AU$120 per night. Prices and availability subject to change. Additional terms may apply. The entire apartment was beautifully furnished and clean. The kitchen is beautiful! Arriving into the carpark and finding our park had been labelled with our surname was a fantastic gesture - it left no space for errors!